Which motorcycle maker is famous for oddball front suspension and steering, and for using high-performance engines from other makers? Five marks for mentioning Bimota—but ten marks if you guessed the Osborn Engineering Company of Britain. The trajectory of OEC is uncannily similar to that of the modern-day Rimini outfit, right down to an erratic involvement in racing. 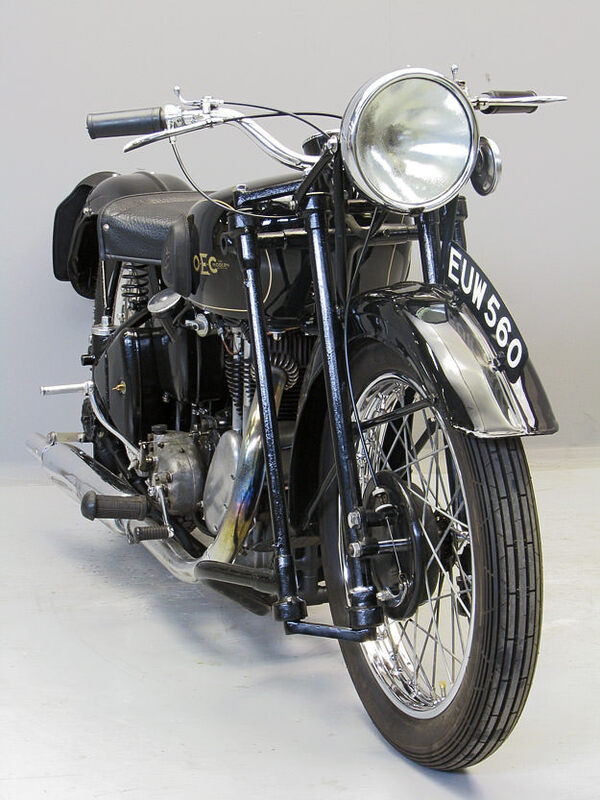 OEC lasted longer than most early British makers, from 1901 to 1954, and was famous for its unusual engineering and experimentations with girder forks—as well as several attempts on land speed records. You don’t often see OECs come up for sale, but the Dutch classic dealer Yesterdays has no less than three on its books right now. 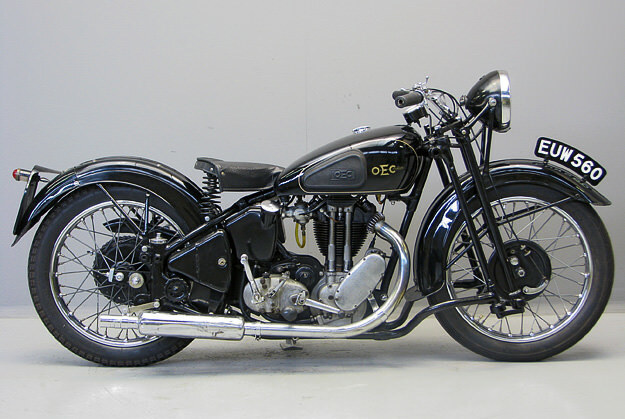 The pictured bike is a 1938 Commander model, and the sticker price is a surprisingly reasonable €12,750 (US$16,000). The Commander used a 500cc single cylinder Matchless engine and a duplex steering system: just check that front end closely in the shots above and below. Any custom builders out there fancy grafting that engineering onto the front end of a bobber?